5. Wrap it up: If the gift is great, why bother with gift wrapping, right? Wrong. 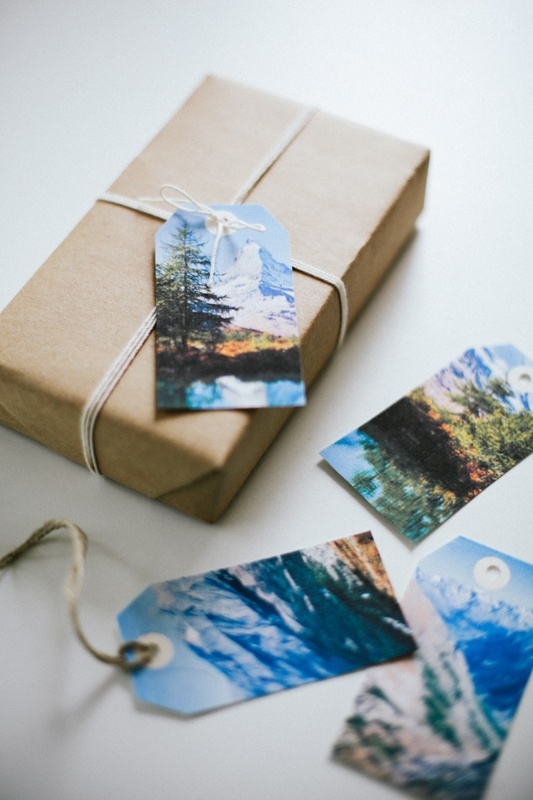 Gift wrapping isn’t just about covering the gift in decorative paper. It’s about going one step further; it’s like the icing on the cake or a beautifully decorated dish at a restaurant. I liken it to a splendidly done window display. 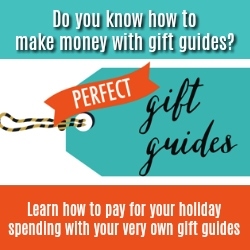 It adds another dimension and is the final flourish that completes a good gift. And for the recipient, it’s about the anticipation, the excitement of discovering what’s inside. What she says really makes sense to me. There is a reason that diaper cakes and cute little sock babies are so popular on Pinterest, they have a “Wow Factor” to them that we are all drawn toward. The same goes for bridal shower cakes and gorgeous, crisply wrapped items. 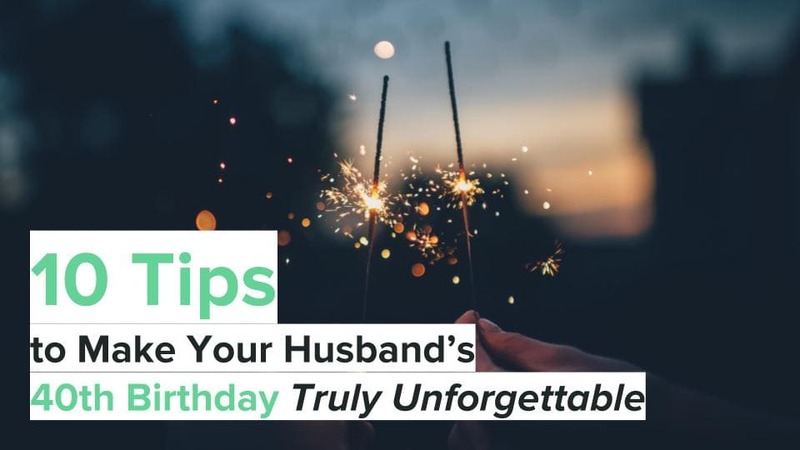 Here are some tips that I have to help you give a good-looking gift. Pick a solid colour wrapping paper that is high enough quality the corners won’t poke through. This technique is especially effective with large boxes. 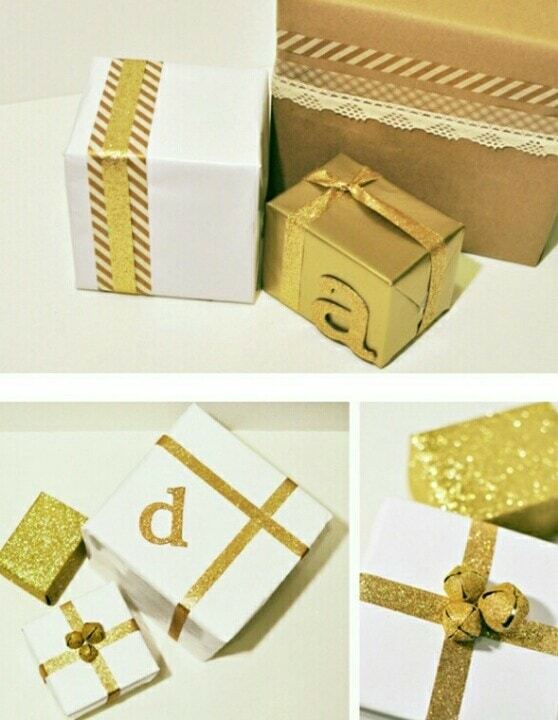 For weddings, you can use white, silver, kraft paper and gold. Wrap your gift with nice, crisp folds. Try to make them as symmetric as possible. Putting things into boxes makes this easier. Use sparing but equal length clear tape. Add a thick ribbon. Pick a contrasting colour or a complimentary colour. If you are using kraft paper or gold, consider wrapping it several times with twine. Violà! 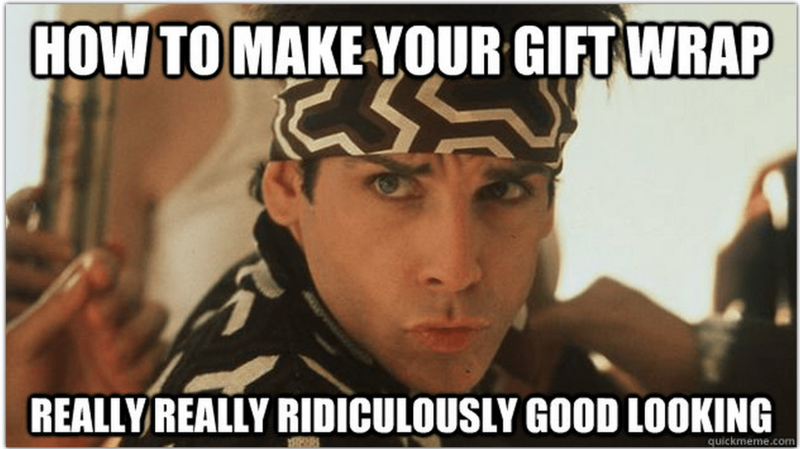 You have a simple, but elegant and really really ridiculously good looking gift! Fellow Fellow: Simple twine on craft paper. The photo tags are a free printable! Pinterest: This one is a great example of a contrasting colour combo! Pinterest: Plain gold looking great. 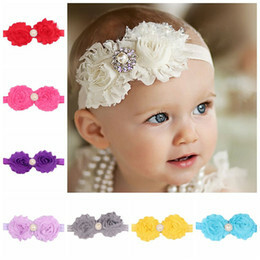 You don’t even need to go all the way around with the ribbon, just a single band of bold. 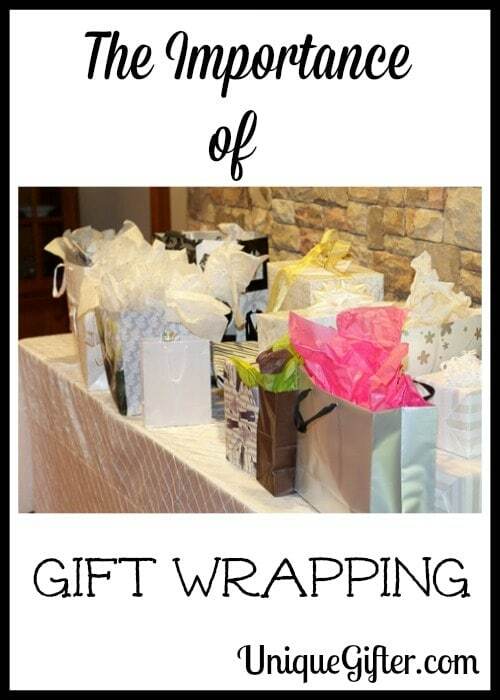 For more gift wrapping ideas, follow my Wrap It Up In Style Pinterest board! Thanks. Your post was like a lightbulb moment for me! I've always been horrible at wrapping gifts. Maybe adding to the wrapping could do some good for me! I forgot to write a bit about using newsprint and flyers, haha. I have done that many times. My spouse likes to wrap things in plastic grocery bags! Wow those pics look great! I'm not that great at wrapping gifts but I like to think my skills suffice – nothing like the wrapping in these pics, though! Sticking to basics can make things look awesome, without requiring a bunch of skills I don't have. I'm all about simple: gift bags and tissue!! I was a much better gift wrapper as a child. I do have to point out how funny it is after "Keep It Simple Stupid" the blue Happy Birthday ribbon looks terribly difficult! true, true! You can just buy that chunk though. Gift bags are totally how I do things as well! Where do I pick up awesome bows like that? I believe gift wrapping’s pretty important. It’s sort of a lil teaser to the present inside. I sometimes like to use different types of materials for my wrapping. Like cartoon newspaper print and then use lots of ribbons. I love wrapping gifts and getting beautifully wrapped presents… I know it's not part of the present, but the presentation and the care put into wrapping is meaningful too. I like to find interesting wrapping paper, often at craft stores and pairing them with fancy ribbons. My recent post What are the top 10 side jobs? I really like the twine and craft paper! I'm such a minimalist, haha! It's so simple and still looks so good! 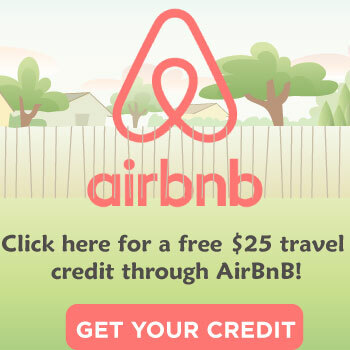 Plus, fewer things to store at your house! 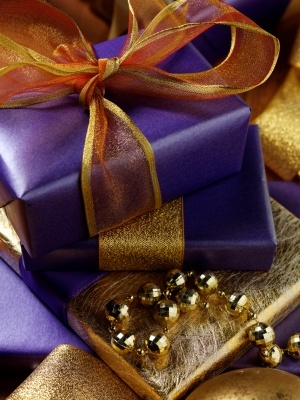 I LOVE nicely wrapped gifts – there's something so appealing about them. Mine are never perfect but I love wrapping. Awesome :-) I'm sure people appreciate your efforts! Loved the idea of wrapping using items like craft paper. Adds a touch of class and a personal touch. Great ideas. Thanks for the post. I Think Brown paper is the best wrapping paper! It is nice and simple, cheap and easy to find. 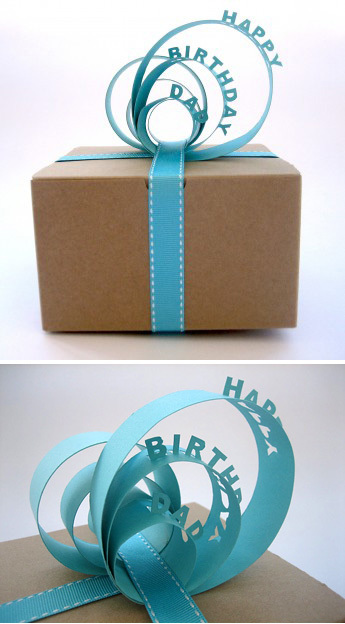 We can make our gift wrapping more impressive using some colorful ribbons.